We believe you deserve to spend every minute possible living* and not feeling burdened by complex tax regulations and financial decisions. At Krozel Capital we are proving that professional services can be provided on a personal level – we do this every day. We do not agree with the complexity of the US tax system. In a perfect world, tax preparation would be more straightforward and manageable leaving more time to focus on financial planning, asset management and (insert here anything you like doing more than tax prep!). We work hard to keep our clients educated and informed about policy and law changes, that could affect their financial life. living* = focusing on what matters most to you. Kaitlin Krozel is a Certified Public Accountant (CPA). She received her undergraduate degree with a B.S. in Accounting and Finance and a minor in Spanish from California Polytechnic State University, San Luis Obispo. 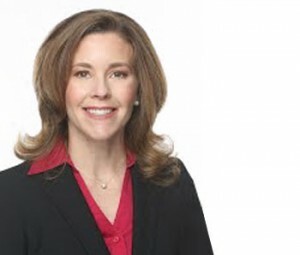 She also holds a Masters degree in Tax & Financial Planning from San Diego State University. Before starting Krozel Capital, she worked for Ernst & Young in San Diego, CA and also as a tax preparer in Singapore. Her husband is a Lieutenant Commander in the U.S. Navy and they have two young children. Holly Evans is a Certified Public Accountant (CPA). Her areas of tax specialty are individuals, small businesses, cancellation of debt income, real estate, and rental properties. Laura Astorga is a certified tax preparer through the California Education Tax Council (CTEC). She earned her B.S. in Accounting from the University of Baja California in Tijuana, Mexico. 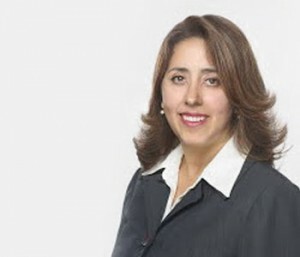 Laura is fluent in Spanish and has experience with Mexican tax laws and regulation. She worked as an accountant in Mexico from 1990-1999 before moving to the United States where she continues to reside with her husband and two children. Penelope’s Ride: Supports The Cystic Fibrosis Foundation by holding a yearly bike ride to raise awareness about Cystic Fibrosis and money for research, treatments and hopefully one day, a cure. My clients are some of the smartest individuals I know. They are professors, surgeons, lawyers, executives, masters in their fields. Yet, due to the extremely complex and time consuming ordeal of preparing a US tax return, these same individuals need to hire a professional. The US has an entire industry of tax preparers and attorneys whose only job is to help people understand the tax laws and calculate their taxes. How insane is this situation? Most professionals would never openly advocate against their own profession, but I guess that makes me different (or crazy). I honestly believe that in the perfect world my firm’s tax services would not be needed by a majority of taxpayers, and instead I would be helping my clients to save their money and plan for their futures. The calculation of income taxes should be transparent, easy to understand and not so time consuming. At Krozel Capital we argue this point openly in blog posts, letters to Congressional leaders and articles. We encourage our clients to stay informed on tax issues by providing them the facts they need and we encourage our US citizen clients to vote in elections and have their voices heard. Get in contact today, set up a meeting.